The family of a woman allegedly killed by her own son at his Alvin home speaks out. 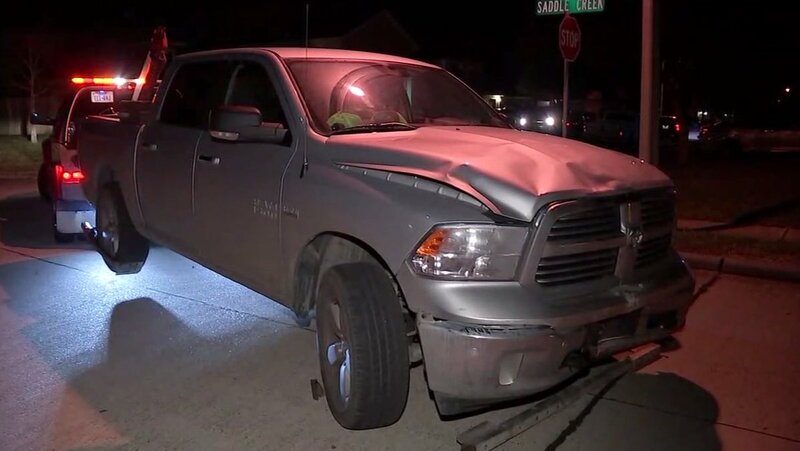 ALVIN, TX (KTRK) -- Matthew Fish of Alvin has been charged with aggravated assault after police say he ran over his own mother, killing her in the driveway of his home. Family members say Christina Fish, 52, known as Tina, drove from her home in Texas City to Alvin to give her son some documents and money Thursday night. At some point, family members say an argument occurred between Tina, her son Matthew and his girlfriend. Police say that argument led to Matthew Fish allegedly driving his truck over his mother at the 1100 block of Stallion Ridge. She was taken to a hospital, where she died. "It's disorienting right now," said the step-father of Christina Fish, who did not want his name used. "I can't even think. Something really surprising happened in our family." The crushed-up front end of this truck offers a glimpse into the horrific final moments of Fish's life. Fish's step-dad said mother and son had a close relationship until he got involved with a new girlfriend. Police say last December, the younger Fish threatened his own mother. "In December sometime, she went over to visit, and he pulled a gun on her, and told her to never come back, put a gun to her head and said he'd kill her," the step-dad said. Fish leaves behind a mother, step-father and a younger, teenage son.